If someone asked me, "What's your problem?" I'd have to say "skin." Eighty Eight degrees inside on a sub zero-freezing night outside. Which was good. An abundance of arms necks legs with multicolored designs of dragons skulls clowns snakes pin up girls and geometric patterns floated around the space. Mostly old school classic images updated to the modern look. Even a Felix the Cat tattoo looks new on a young arm or leg. Ghosts of Bert Grimm, Brooklyn Joe Leiber and Sailor Jerry whispered around the crowds. Friendly, sans-Chelsea attitude. Reminded us of Kustom Kulture openings in LA, big smiles and lots of laughs. The works are screenprints and drawings for tattoos. 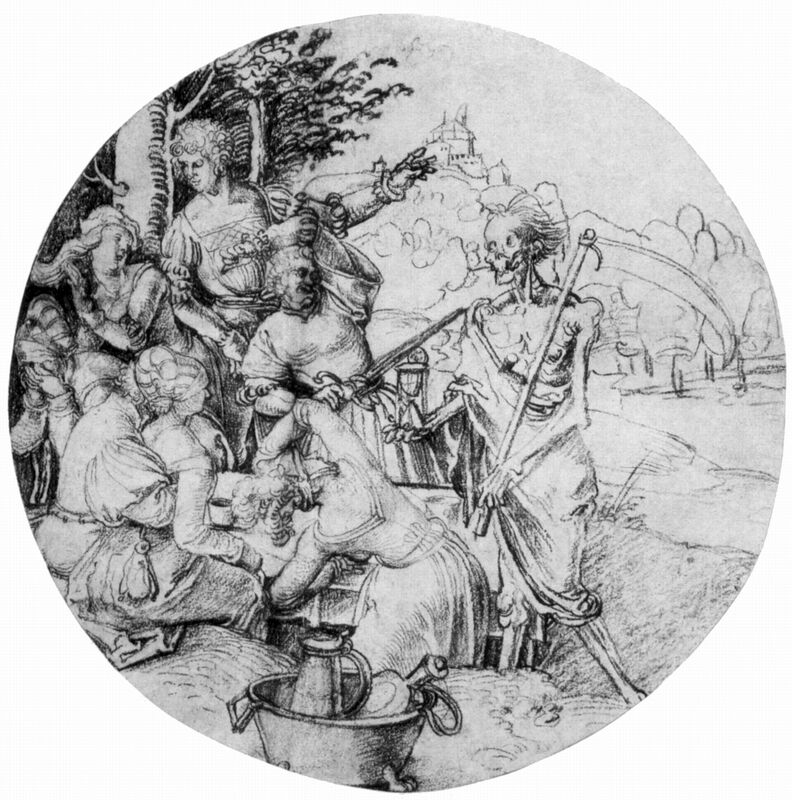 One stuck out as a Skeleton reading or studying something like an Albrect Durer print, another was a sheet of crybabies. Ok. Maybe some were more successful than others. Overall a cool exhibit and fun place to go, free beer and free tee's by Katsufumi Takihana. These guys have the reputation for being the best tattooers out there. We wish them good fortune in this transition to fine art. 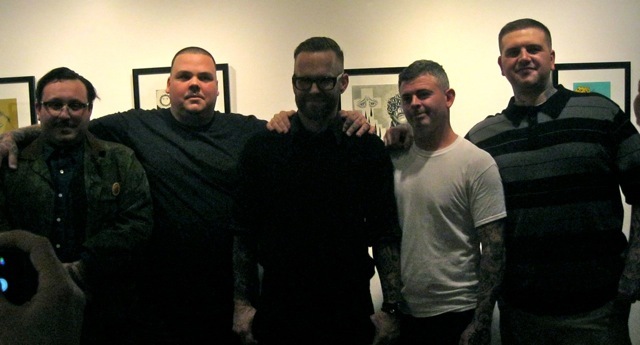 Smith Street Tattoo Parlour at Art NowNY on 28th street. With Mullowney Printing and Raking Light Projects.